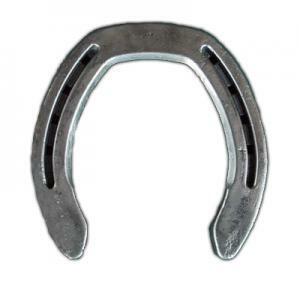 An unclipped steel shoe with the shape most like the natural shape of a horse's hoof before being distorted by ground pressure. 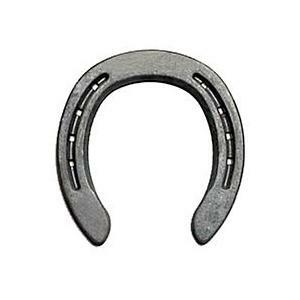 In a lite 7mm size for thin walled quarter horses and thoroughbreds. For balanced motion, ease of fit and most natural motion for the horse. The Shaper is designed to give ease of breakover and direction in flight while reducing the possibility of forging or over reaching.